Description: GSECL invite Account Officer, Deputy Superintendent (Accounts), Vidyut Sahayak (Plant Attendant Gr-I) (Elect/ Mech. ), Instrument Mechanic posts. 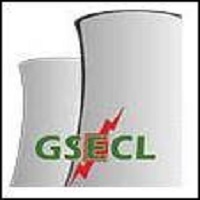 Gujarat State Electricity Corporation Limited - GSECL published an official notification for Recruitment of Account Officer, Vidyut Sahayak & Others posts. Eligible candidates can apply for this recruitment. You can view more details about this recruitment including No. of posts, name of post, Educational qualification, Age limit, Selection process, How to apply etc... You can also view official notification and other important facts about this recruitment e.g. Important links and Important dates. Rs. 500 /- for UR and SEBC Candidates and Rs. 250/- for SC/ST Candidates.